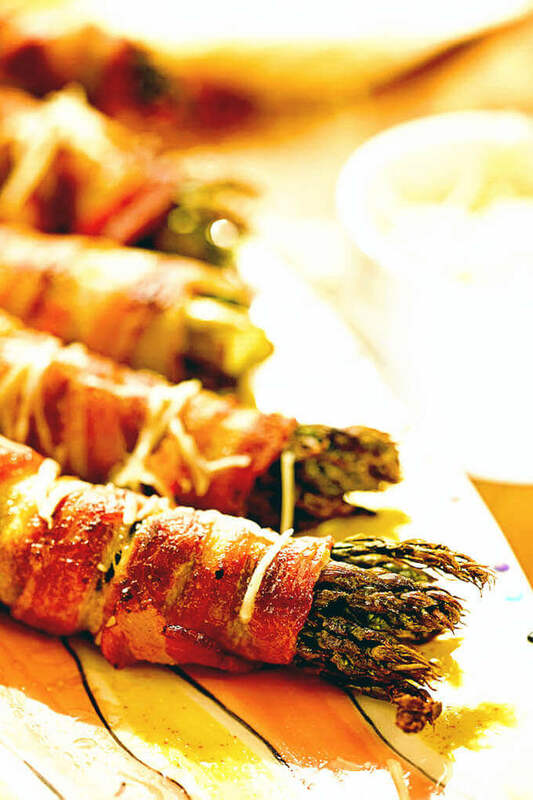 Asparagus Wrapped in Bacon is easy and delicious! 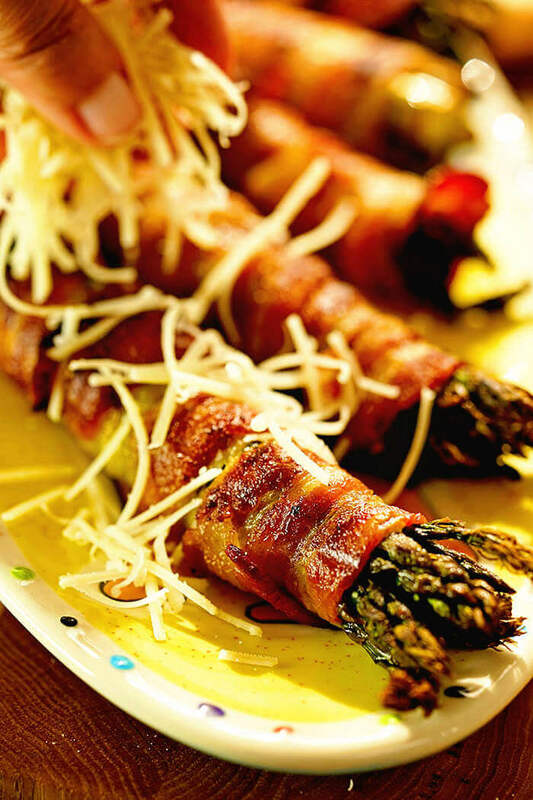 Made on the grill the bacon is crispy and flavorful wrapped around tender asparagus and sprinkled with salty Parmesan cheese, this simple side dish is giving you a new reason to eat asparagus! 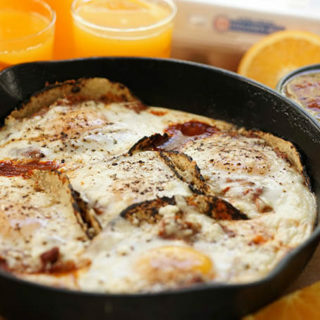 It’s a perfect side and easy to make on the grill and with only three ingredients! Super popular side dish, bacon wrapped asparagus is easy to make on the grill! Bacon. Wrapped. Asparagus. Need I say anymore? I’m not gonna lie, the first time we made asparagus wrapped in bacon it was on the grill and it was a hot flame-out mess. The bacon stuck to the grill, came unwrapped from the asparagus and wasn’t completely cooked. It was awful! I have it going on, it really shouldn’t be that hard, right? So now I’m here to tell you I got this one figured out! You won’t need to make the same mistakes I made! The salty bacon gets crisp while the asparagus is perfectly tender. 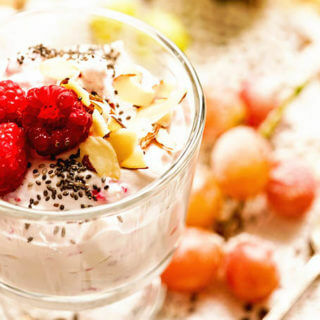 And it is delicious! 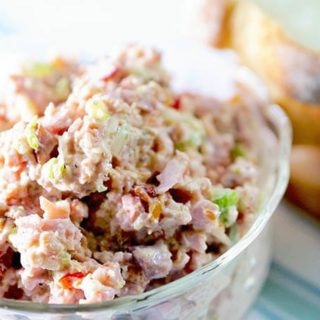 This is a side dish you’ll want to make extra of because everyone will want seconds! Using thin sliced bacon, wrap it tightly around the spears of asparagus. Let’s go thru the basics! Rinse the asparagus to remove any grit. Snap off the woody end. You can save the end pieces to make homemade vegetable stock if desired. 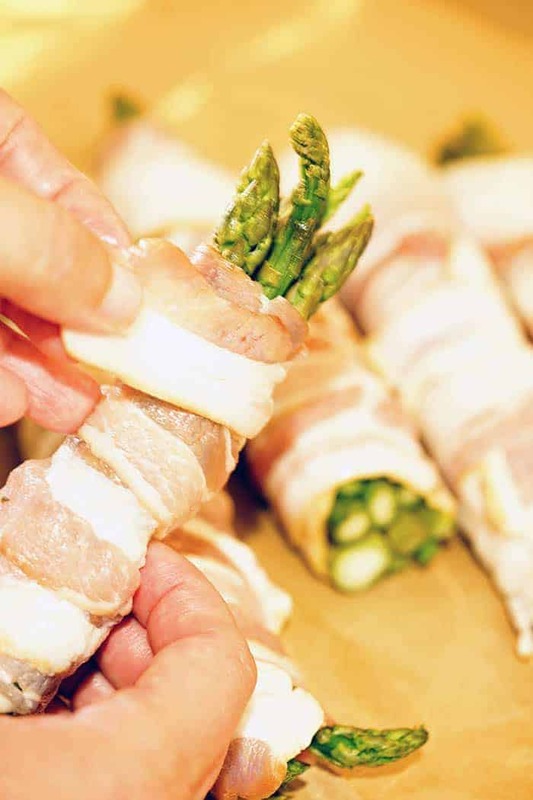 Wrap the bacon around the asparagus bundle. Preheat the grill to 350-375 degrees. Try and keep the grill within that temperature range. Definitely less than 400 degrees. How do you cook asparagus wrapped in bacon? Start by cleaning the grill, remove any burned on bits. Add the bacon wrapped asparagus and close the lid. Flip it every three minutes or so. Don’t fuss with it, just rotate it to the new side. Continue turning the bundles until the bacon is crispy on all sides. It will take 20-25 minutes to completely cook the bundles. Salty, crispy bacon wrapped around asparagus! Just be patient – this takes about 20-25 minutes to cook. You want the bacon good and crispy! The hardest part is not eating this as soon as it comes off the grill! Sprinkle the bundles with Parmesan cheese the instant you take it off the grill so it melts and gets all cheesy! 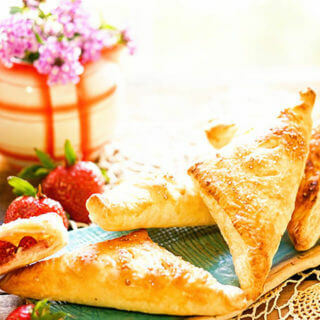 Lightly cover the side with foil until you’re ready to serve. I think just about everything is better on the grill! There’s just something about that smokey flavor the grill imparts that makes everything taste even better! 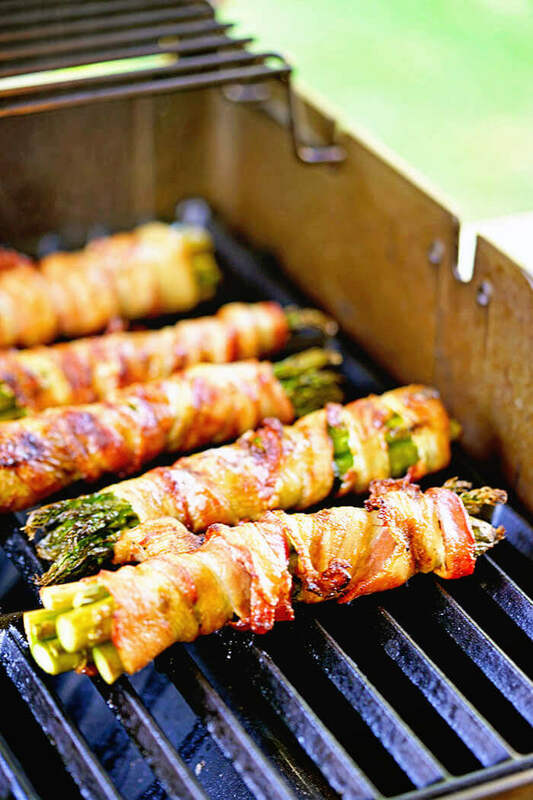 Bacon wrapped asparagus is easy to make on the grill and everyone loves it! If you’re looking for something super tasty to serve with this meal, how about teriyaki steak? We love this marinade and use it on just about everything! 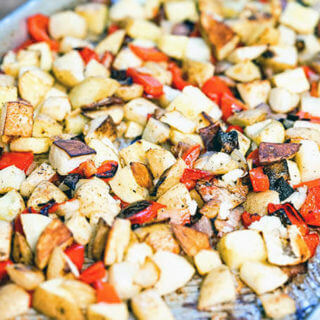 More delicious side dishes? Roasted, grilled or steamed, here are a few of my favorites! Now don’t forget if you make this be sure and tag me on Instagram at @bowl_me_over or #bowlmeover, I’d love to see your awesome pictures! 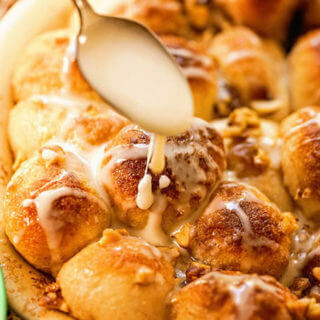 Also if you love this great side dish, be sure to comment and leave a ⭐⭐⭐⭐⭐ rating below, I’d love to hear from you! 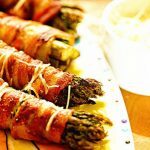 Asparagus Wrapped in Bacon is an easy and delicious side dish! Made on the grill the bacon gets crispy and flavorful! Wrapped around tender asparagus and sprinkled with salty Parmesan cheese, this simple side dish is giving you a new reason to eat asparagus! Clean the asparagus, snap off the woody ends. Prepare each bundle with about 5-6 spears. Wrap tightly with thin sliced bacon - 2 slices of bacon per bundle. Oil the grill and add the bundles to the grill. Grill on all sides three minutes per side until the bacon is crispy 20-25 minutes. Sprinkle with parmesan cheese the instant it comes off the grill. This are just the best. Love the use of the grill and how easy they are to put together. A great addition to any meal. Just that much tastier using the grill! Thanks Lois, I’m glad it’s a dish you enjoy!